What a great weekend for a Chevelle show. 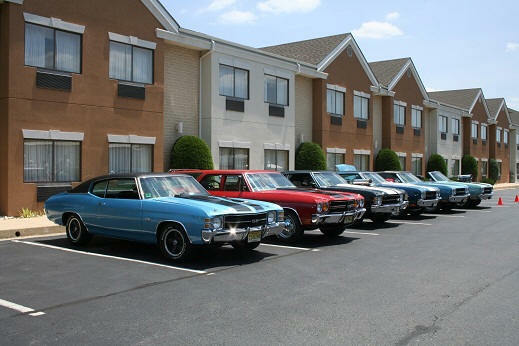 Forecast temps in the mid 80's and no threat of precipitation in sight, were just what the doctor ordered for the 23rd Annual Mid-Atlantic Chevelle Show. Show go-ers were already pulling into the Comfort Inn early Friday morning while the MCC staff was down at the North East Town Park getting the show field prepared for the weekends activities. The first order of business was to unload the club trailer and sort out where everything needed to be.